Benjamin listened to the post and examined the enlarged photo of the hapless dragonfly and the spider. 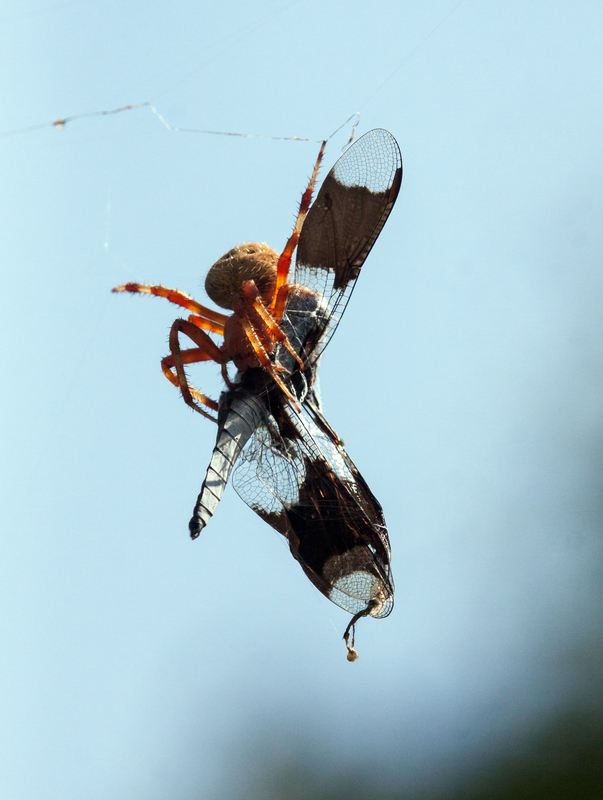 He sadly shook his head and said : “That dragonfly should have paid attention, before he flew into the web!” Thank-you, Mr. Mike!! I’m sure that happens much more than we realize.